Naylors Chartered Surveyors have been instructed to undertake a £1m refurbishment of Talipot House on Team Valley, Gateshead. A £1m refurbishment of a Team Valley office building is poised to begin after Naylors Chartered Surveyors was appointed to the project. The firm has been instructed to undertake the redevelopment of Talipot House, a 17,000sqft, two storey office building located centrally on Team Valley, Gateshead. Naylors will be working on behalf of the landlord, a private London investor, for whom they acquired the property in April. The multi-disciplinary firm of chartered surveyors previously undertook a similar project on Olas House, a sister building to Talipot House, which was acquired, refurbished and successfully let on a long lease to Gateshead Housing Group. Fergus Laird, head of investment at Newcastle-headquartered Naylors, said: “We are able to offer client acquisition services, building consultancy, letting services and sale of the resultant investment all under one banner. 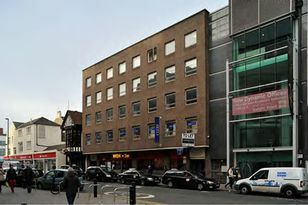 The building, on Fifth Avenue, was previously occupied by Daisy Communications Ltd and is in need of an extensive refurbishment to secure new tenants. Naylors Building Consultancy team were initially approached to undertake a condition survey and measured survey works of the premises, including a full building survey, layout, roof and elevation plans, as well as organising and overseeing additional specialist investigations via a number of approved consultant partners. Phil Garner, building surveyor at Naylors said: “Following our preliminary investigations we were instructed to specify, tender and oversee the initial strip out works. “Now under way, the design team is being assembled and specification for the proposed refurbishment is due to start in earnest within the coming weeks. The refurbishment project is due to be completed in May next year.